Weather Windy starting tomorrow morning and light rain tomorrow evening. 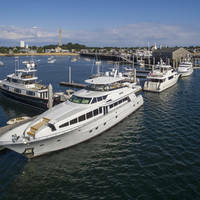 About a nine-mile journey south of the Cape Cod Canal, the Wareham River and the town of Wareham, although not directly on the main channel to the Cape Cod Canal, is a pleasant stopover and place for exploration. 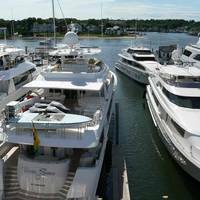 Here you will find a variety of marine services and a hefty mooring field that fills up quickly during the summer season. 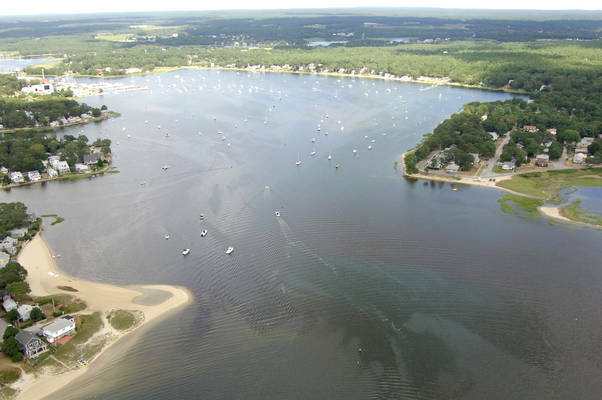 If you plan to make Wareham a stopping point on your journey, you will do well to make advance reservations for a slip or mooring before arriving. Just south of Abiels Ledge in Buzzards Bay, you will want to pick up quick flashing green "1," and then turn to the northwest toward red nun "2," which marks Dry Ledge. From Dry Ledge, set a course to red nun "4," green can "7," green can "9," red nun "10," and then red nun "12" at Long Beach Point. Depths outside of the channel shoal quickly in spots, so the best course of action is to adhere to the line of markers leading up to Long Beach Point. 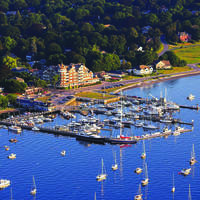 From red nun "12" at Long Beach Point, you can follow the string of unlighted aids into the harbor. 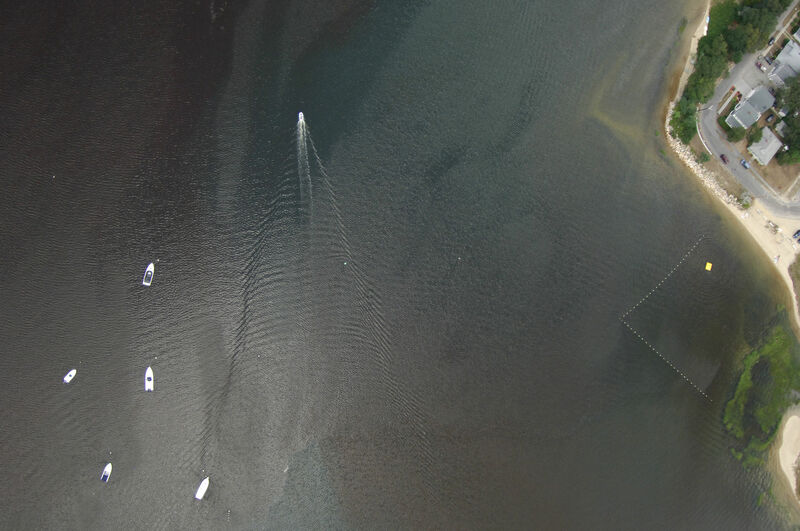 Moorings are strung on either side of the channel, and the local marinas are congregated near the bridge at Warren Neck. No reviews yet! 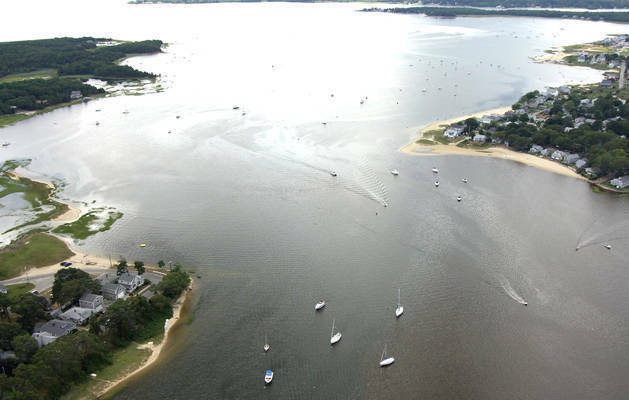 Be the first to write a review of Wareham River Inlet.